Experience is key to creating a useful pannier! I've learned a lot over the years about carrying cargo. 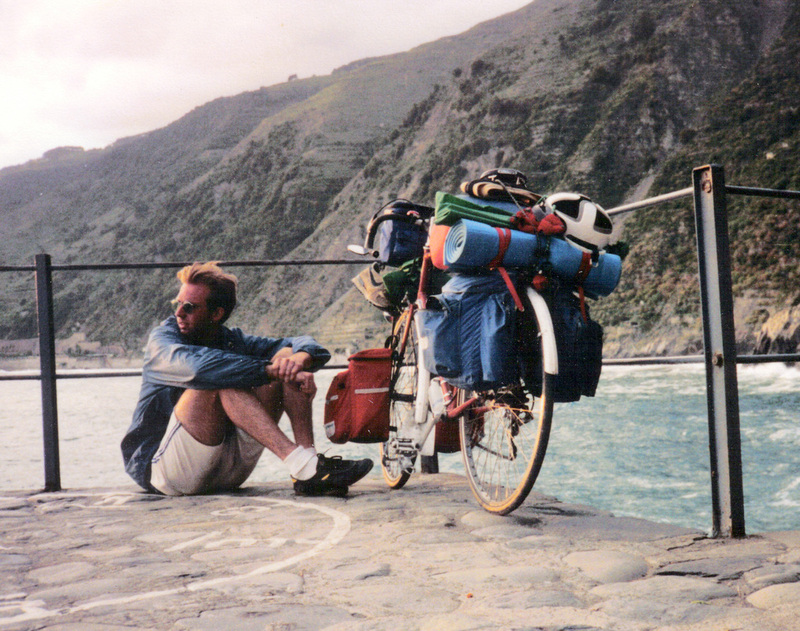 Back in the 1980's, I did quite a bit of loaded touring – traversing the US and Europe. During that period I spent months living out of my panniers. These days I use a bicycle mostly for transportation, with an occasional day-trip or camping excursion thrown in for good measure. Nevertheless, I am still reliant upon panniers for carrying a lot of stuff, both precious and common. What I need from a pannier today is different than what I needed on extended tours. I still want a pannier that’s tough and sheds water like a duck, but nowadays I want a bag that is easy to get in and out of... fewer pockets, zippers or buckles. And I want a bag that holds its shape and doesn't sag. I also want panniers that are graceful looking. You see, I have a passion for classic and vintage bicycles. So I made a pannier that, in addition to being functional, would be suitable for a 1972 Jack Taylor mixte. Ironweed is located in Iowa City, Iowa, USA - home to the University of Iowa. If you have questions about our panniers, drop me an e-mail. Welcome... and let Ironweed help you carry something!